YUM. Had some leftover tuna salad from my weekend Tuna Melt Escapades. Decided to go with Romaine Wraps ! 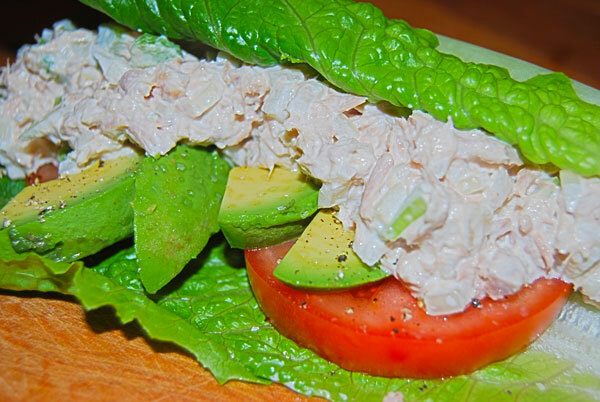 Tuna Salad (tuna, mayo, celery, onion), Romaine Leaves, Tomato slices, Avocado, Kosher salt and cracked pepper to taste. A little bit messy to eat (make sure you have a napkin), but VERY satisfying.